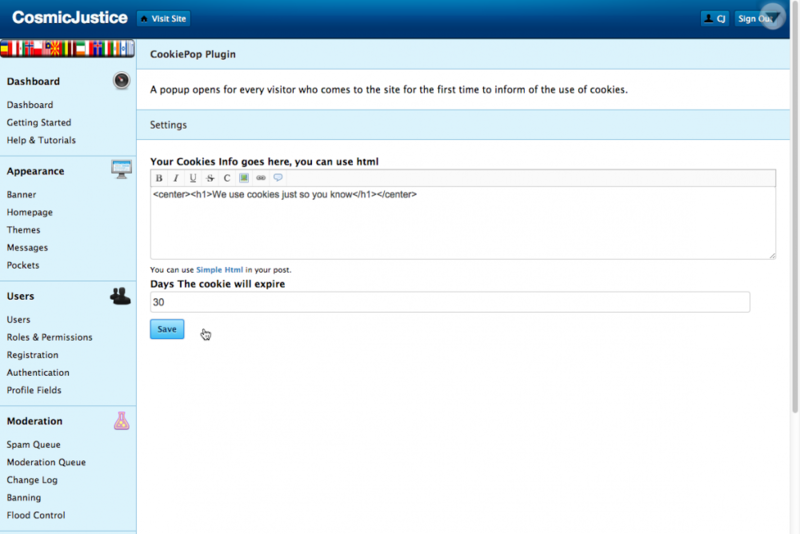 You can add your own cookie info in the form in the plugin's settings page. You can use html. Works on Mobile and Tablets. Version 1.1 added cleditor and button bar capabilities to the form in the settings to make it easier to edit the popup content. 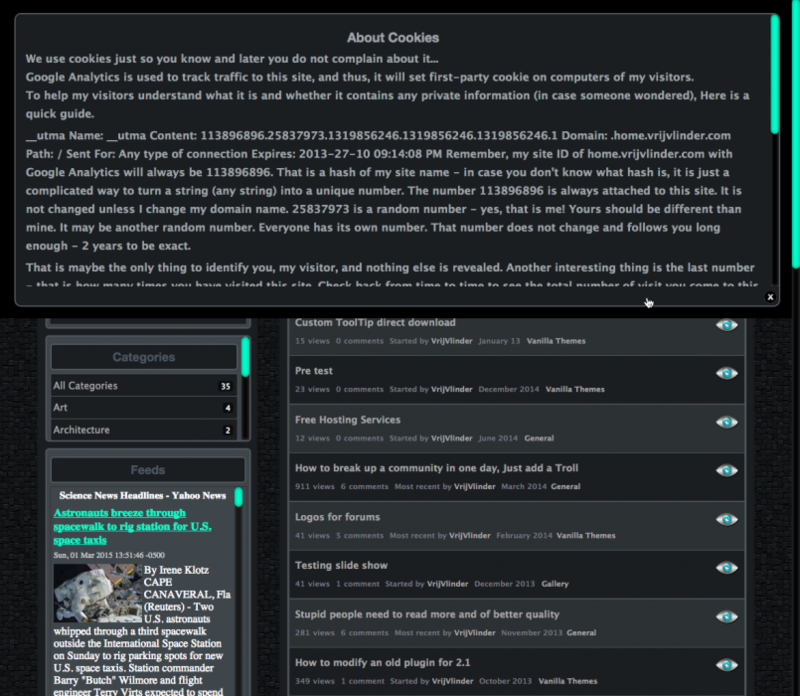 Added a tooltip for the close button to say "I accept Cookies".